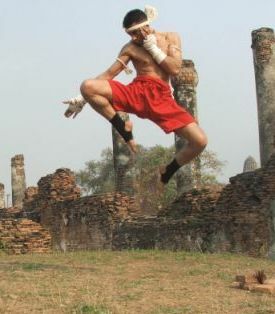 KAO DODE (Jumping knee strike) - the Thai boxer jumps up on one leg and strikes with that leg's knee, sometimes grabbing opponents head and pulling down at same time. 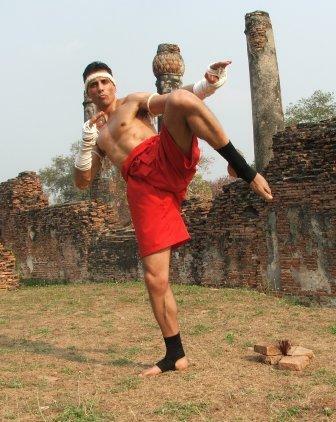 KAO LOI (Flying knee strike) - the Thai boxer takes step(s) traverses the ground, springs up off one leg and in mid-air switches to the other knee to strike. 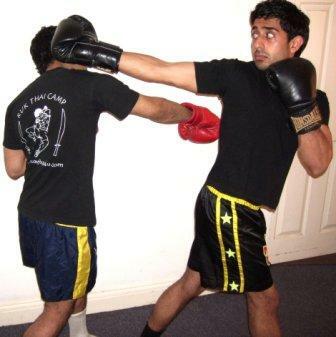 A quite spectacular sight when it connects, best when opponent is off balanced, hurt or tired. 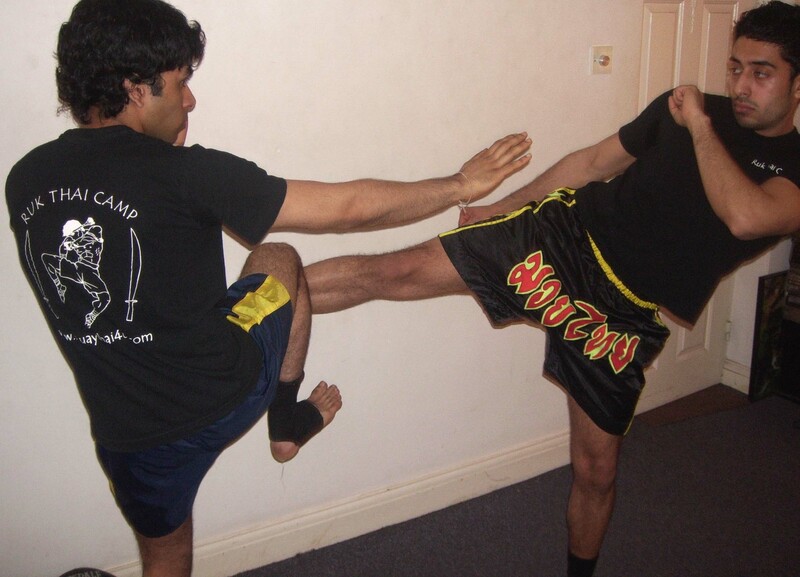 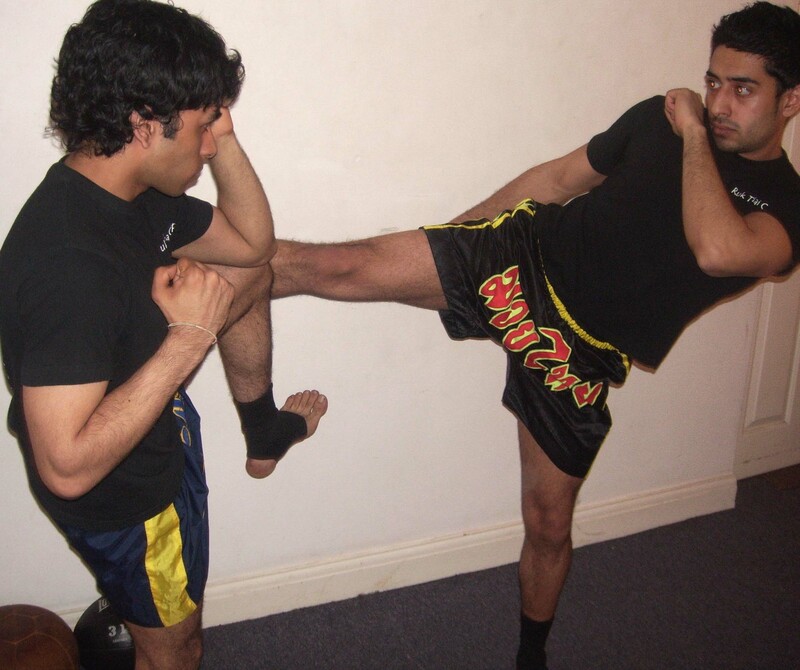 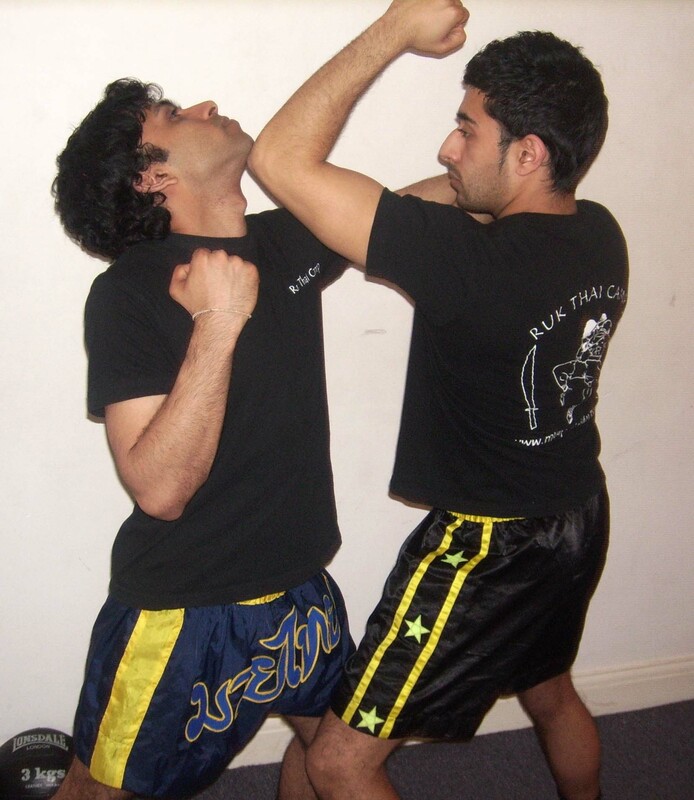 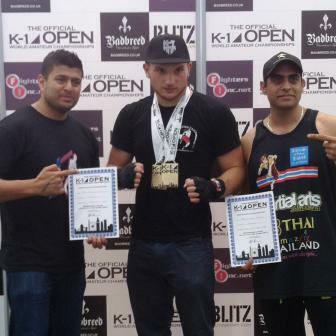 KAO DTRONG (Straight knee strike) - the Thai boxer simply thrusts it straight upwards stabbing forwards. 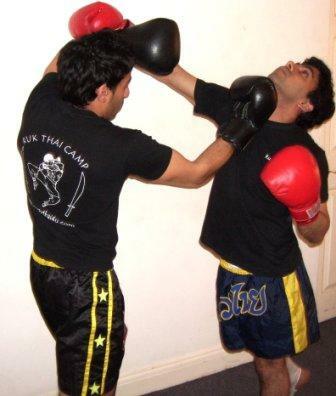 According to one written source, this technique is somewhat more recent than Kao Dode & Kao Loi. 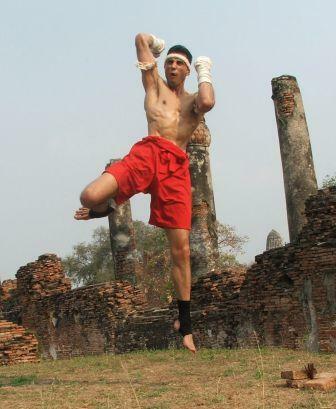 Supposedly, when the Thai boxers fought with rope-bound hands rather than the modern boxing gloves, this particular technique was subject to potentially vicious cutting, slicing and sawing by an alert opponent who would block it or deflect it with the sharp "rope-glove" edges . 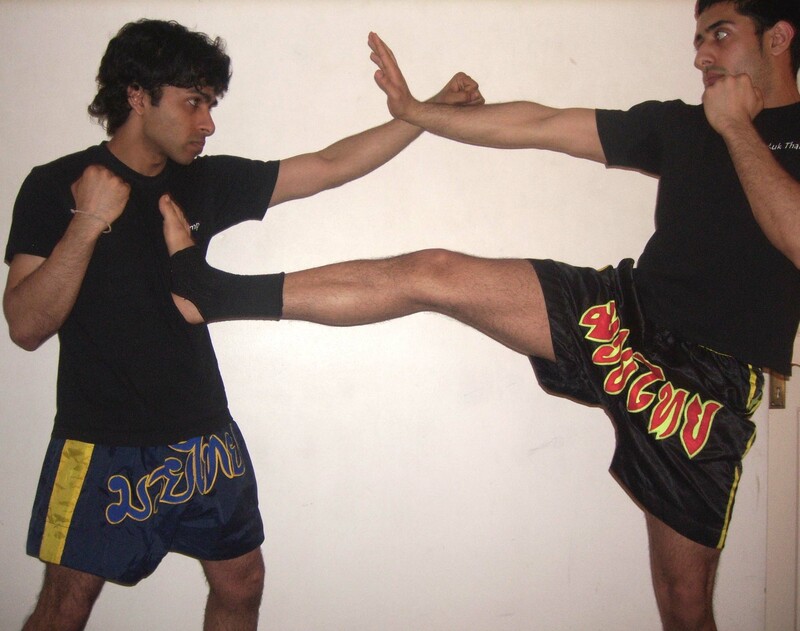 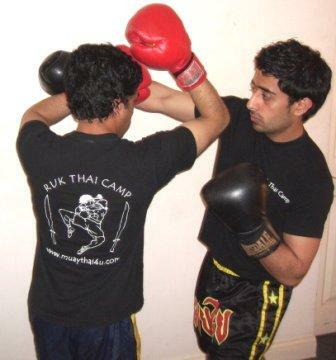 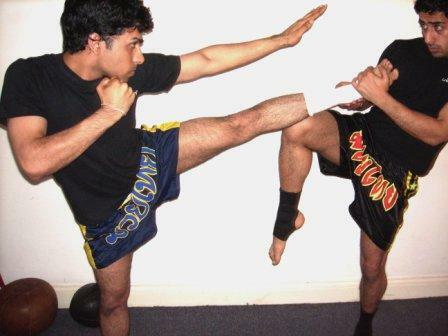 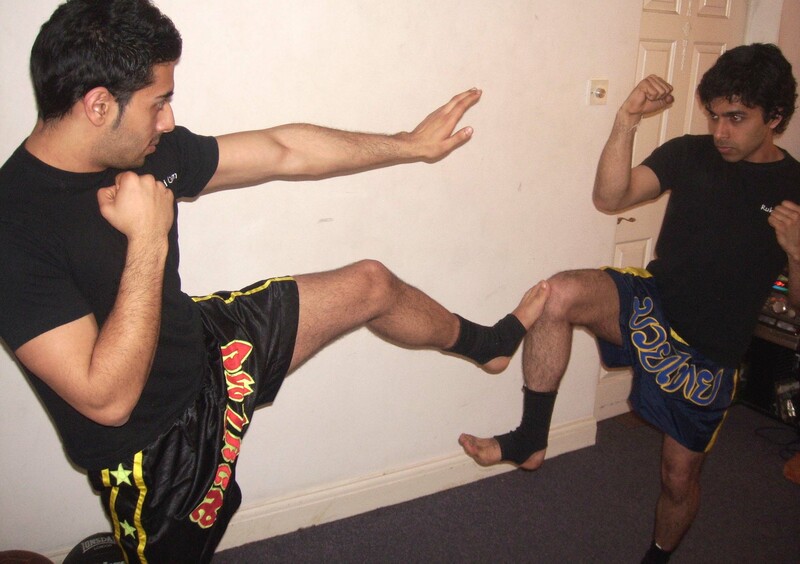 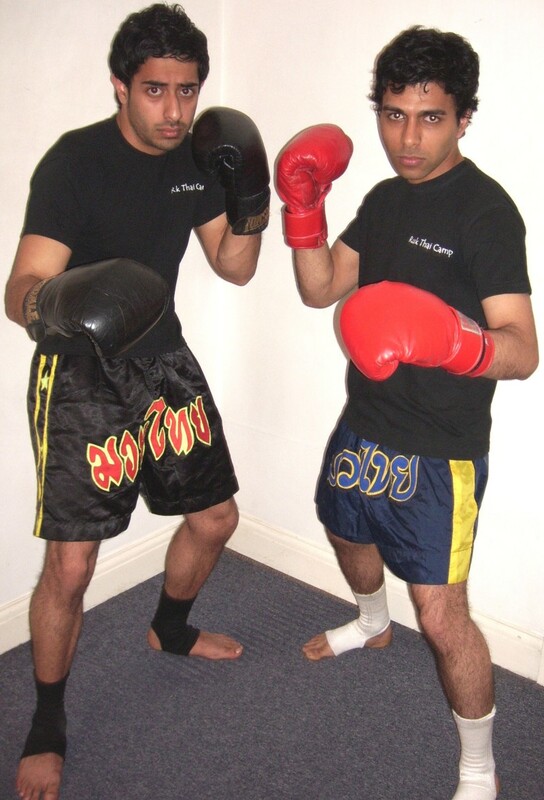 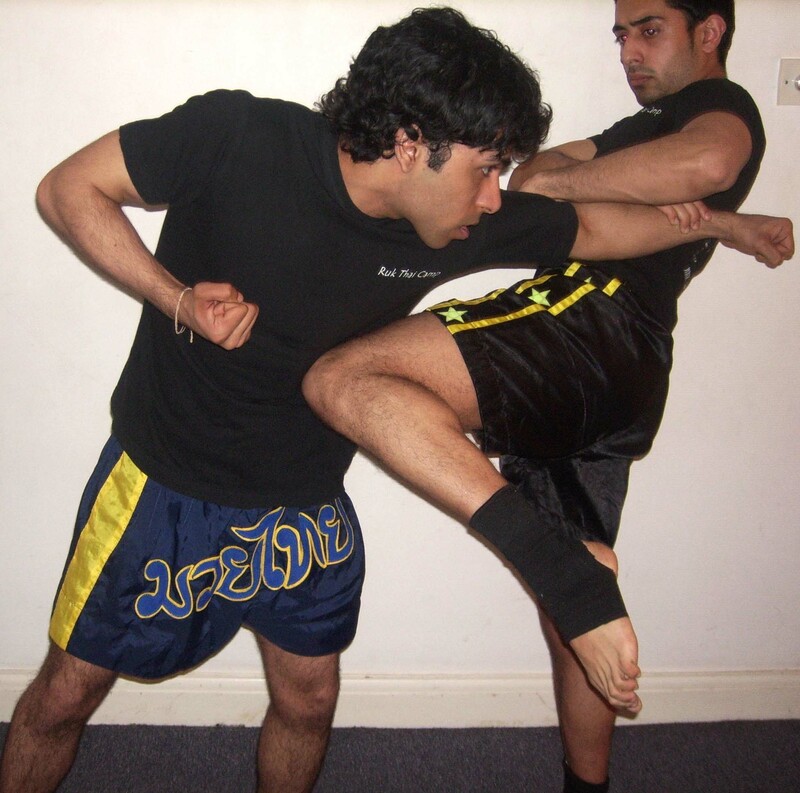 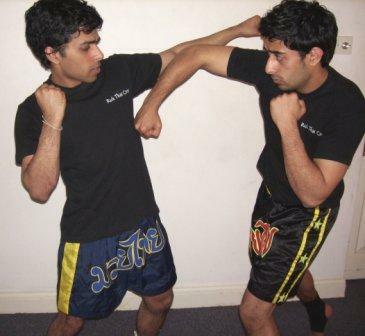 Past University College London RukThai Camp Thai Martial Arts Society Presidents Bhavin and Pardeep Demonstrate Special Master Tricks of MuayThai.